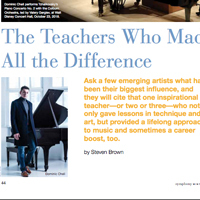 Dominic Cheli mentioned Zena Ilyashov's influence in Symphony Magazine's article, "The Teachers Who Made a Difference." Community Music School faculty member Zena Ilyashov was mentioned in Symphony Magazine's 2019 Winter Issue in the article titled "The Teachers Who Made a Difference." Read the magazine article here [PDF]. St. Louis station FOX 2 News covered a Human Trafficking Workshop hosted by the College of Arts & Sciences Legal Studies department, and interviewing Anne Geraghty-Rathert, professor and chair of the department. "Pathways to Combating Human Trafficking: A Human Trafficking Awareness Workshop," was held Jan. 26 in Browning Hall on the main campus of Webster University. Guest experts spoke about the signs of human trafficking, how it is affecting the St. Louis region, and what people can do to help. State continuing legal education credits were also available for legal professionals who attended. 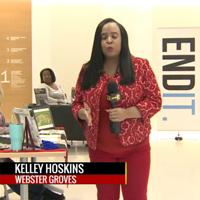 View the Fox 2 segment online here. 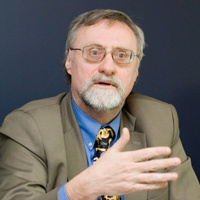 Dan Hellinger wrote a column in the academic online blog “The Conversation” about the ongoing constitutional crisis in Venezuela. The article, in Spanish, examines the unique situation where two presidents believe they have legitimacy to lead the nation, with two assemblies trying to navigate the on-going crisis. Hellinger, an expert on political economy and Latin America, is professor emeritus in the College of Arts & Sciences. Access “Historia de dos presidentes” (The story of two presidents) here.